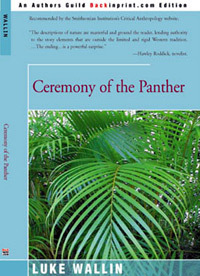 The Redneck Poacher's Son, The Slavery Ghosts, In the Shadow of the Wind, & Ceremony of the Panther were originally published by Bradbury Press, which became part of Macmillan, Inc. 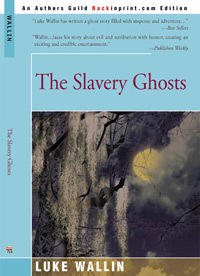 They are now available through the Author’s Guild’s Back-in-Print Program and may be ordered by going to www.iuniverse.com and searching by Title, Author, or Keyword. Chosen by the American Library Association, Best Book. "…the story becomes a truly gut-wrenching and memorable reading experience." Jesse is almost a Billy Budd: kind, trusting, loving, patient but not perfect, and it is his imperfection, his anger, that makes it possible to empathize with him, an empathy that heightens the suspense…"
"…the dialogue, for both Blacks and whites, is remarkably authentic: and the taste of grits is on every page. All the characters, and especial the confused, frightened Jesse, are believable." "Wallin puts a good deal of tension into Jesse's contradictory passions for freedom and revenge, a lot of snap in all his characters, and plenty of action, empathy, and swampland color in his Greek-style family drama. "Wallin's …story leap[s] from the mouths of his characters in an unusual show of craft. His ear for the Southern dialect is as sharp as anyone writing today. 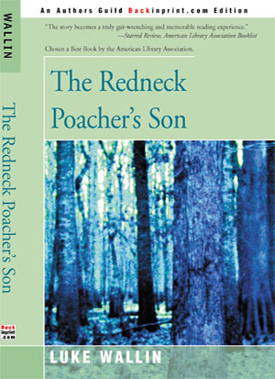 At right: A chapter of The Redneck Poacher's Son is included in Mississippi Writers: Reflections of Childhood and Youth. A New York Public Library Best Book. 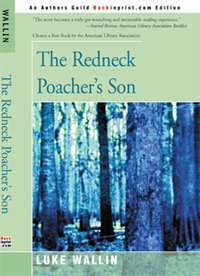 "An impressive historical novel about the conflict between white settlers and Creek families in Alabama in 1835…"
"Fast-moving and touching, this should appeal not just to history buffs but to anyone who enjoys a good story." "There is much in Luke Wallin's novels to appeal to the scholar, certainly to the history buff, to the student of Native American culture, to the regionalist, and even to the spiritualist. But Wallin should best be regarded as a fine writer of young adult fiction. It is here that his craft waxes toward genius." 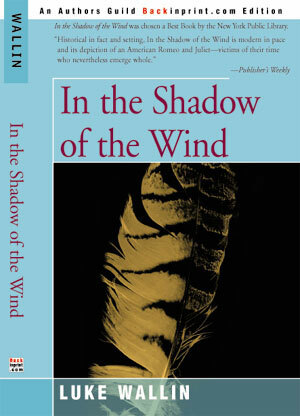 "Historical in fact and setting, In the Shadow of the Wind is modern in pace and its depiction of an American Romeo and Juliet-victims of their time who nevertheless emerge whole." 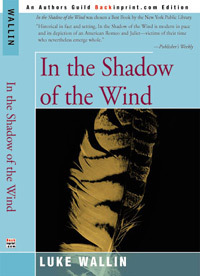 "In the Shadow of the Wind is a fine story for both children and adults." "Both Caleb and Pine Basket are strong characters who must put aside their pasts and, in Caleb's case, his family, in order to find a new way of life." Selected a Best Book by the children's book center at Bank Street College. 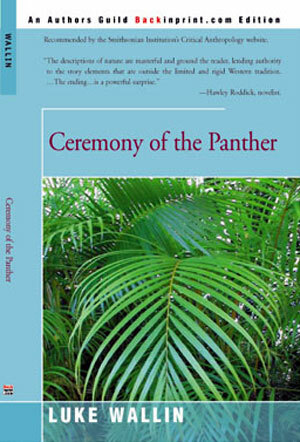 Recommended by the Smithsonian Institution's Critical Anthropology website. "…[the] descriptions of nature are masterful and ground the reader, lending authority to the story elements that are outside the limited and rigid Western tradition. …The ending…is a powerful surprise. Few authors provide the sense of completion and satisfaction that the best novels capture. And [the] surprise ending does that. Watching John find his own voice and start on his own path…is uplifting." "Luke Wallin has written a ghost story filled with suspense and adventure..."
"[Jake's and Livy's] mission of mercy, taken at great peril to themselves, has rewards: Jake gains courage and Livy patience. A different and surprising reward for our young hero and heroine, and for the reader, … a gentle introduction to spiritualism, reincarnation, higher consciousness and darma. 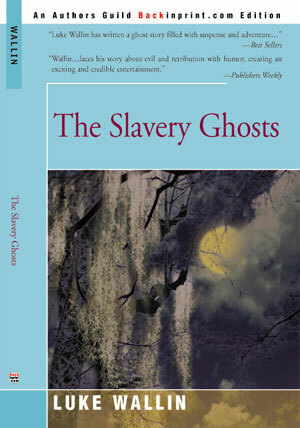 "This is an exciting ghost story."